Jim grew up in central Illinois and earned his degree in Education and Church Music from Southwest Baptist University in Bolivar, Missouri. 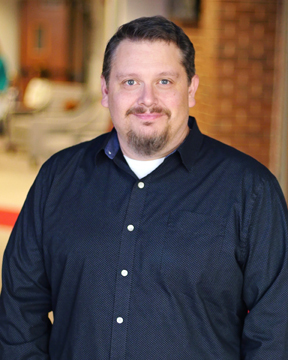 Joining First O’Fallon in 2007, Jim serves as a musician, audio engineer, technical artist, and mission project coordinator in Missouri and Illinois. He and his wife Shelly have been married for 17 years and have a son, Brennan.